• Required for any drive installed into the main drive bay. 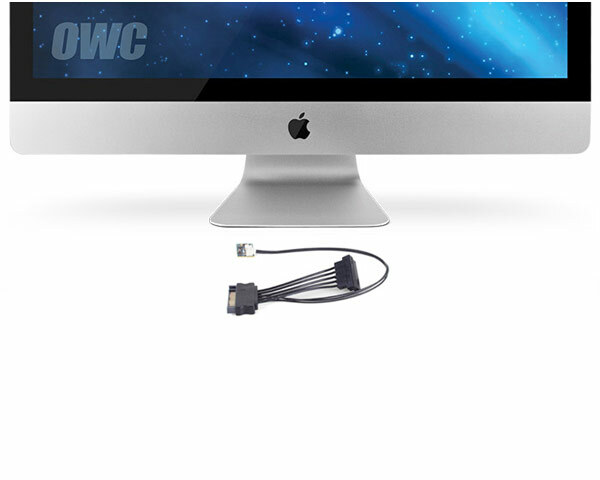 • Eliminate fan noise and maintain correct system fan control when upgrading your 2011 iMac. • The only iMac HDD upgrade option on the market certified to pass the Apple Hardware Test. • Fixes firmware incompatibility issues with third party hard drives. • Engineered in-house and backed by OWC's award-winning customer support. Note: Before attempting to perform this installation, please watch the OWC Install Video in its entirety to determine your ability to perform this complex upgrade. OWC assumes no responsibility for damage that may occur during the install. Technical support for this DIY product consists only of the OWC Install Video found here.